This special PIX controller makes it easy to control both LED POWER BANK and LED POWER BEAM without the need for a complicated DMX-controller. Thanks to the internal clock this controller can create full automatic schedules for the illumination of buildings (hotels, shops, discotheques, public & amusement parks, fairgrounds, … ) with several different programs at different times of the day! 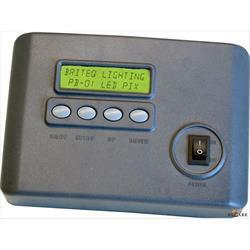 The PB-01 can also be connected to any DMX-controller so all effects can be activated by DMX. 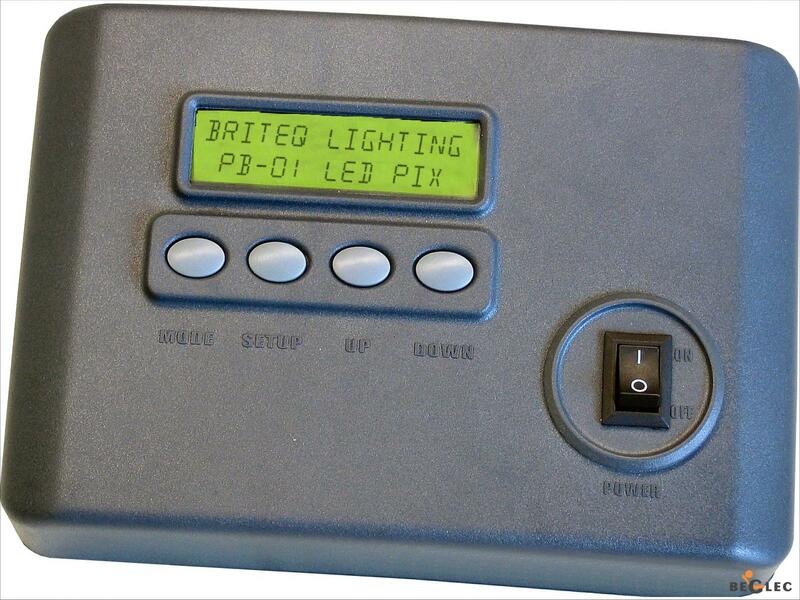 Menu driven LCD-display (2x 16 characters) with password protection to prevent unauthorized changes to the programs.